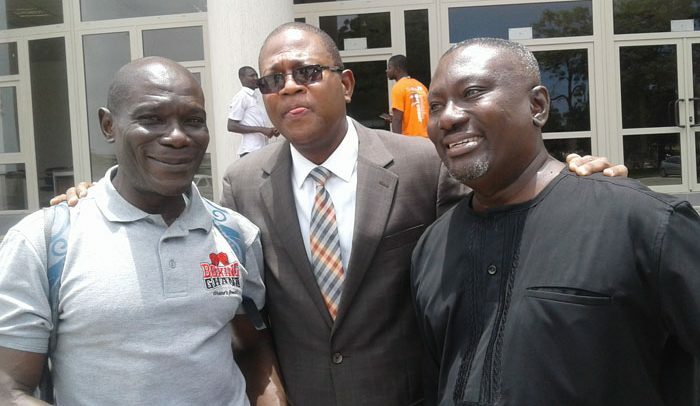 Ghana Boxing Authority (GBA) president Peter Zwennes has said plainly that the reintroduction of the boxing league (Fist of Fury) is a welcome opportunity for boxers and gyms in the country. He indicated that the return of the league will see boxers, who hitherto stayed a whole year without bouts following lack of promotions, fighting practically every two weeks to keep them in shape. Yesterday, a delegation comprising GBA, Ghana Amateur Boxing Federation and the newly inaugurated board-Juvenile Boxing called on the Accra Mayor at his new office at Accra Central to deliberate on the forthcoming league. He added “It will be a three-tier segment-juvenile, amateur and professional title fight and it will span a period of 13 months- 26 of these tournaments; twice every month, starting September 28, hopefully at the Bukom Boxing Arena, Accra and it will run through. “Boxing ranks tops when it comes to laurels; I mean right from the days of DK Poison and Azumah Nelson, through Nana Yaw Konadu, Isaac Quartey, Alfred Kotey, Joseph Agbeko, Joshua Clottey, Emmanuel Tagoe and our latest sensation Isaac Dogboe; we have always been putting this country on the world map. “We expect the authorities to support this event; and so we narrowed it on to the Accra Mayor particularly because of his constituency- in the sense that he presides over Central Accra-Bukom, James Town area where our boxers and champions hail from. The Accra Mayor, Mohammed Adjei Sowah lauded the GBA for the initiative and promised to support it with donations of boxing equipment to some selected boxing gyms.